I'd like to thank Lisa for including me in her hop -- I'd also like to thank all of my FABULOUS friends and followers who take the time to hop through and help make this such a WONDERFUL hop!! Now.... Before you leave... What's a hop without some GOODIES??? 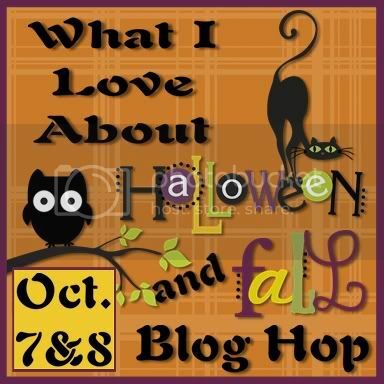 Please become a follower of my blog and leave me a comment answering this FUN question: "What's your favorite thing about Fall?"!! Receive a BONUS chance when you subscribe via email (enter your email address in the box at the top of this page -- you do not need to leave a second comment, all newly confirmed email addresses will be added to this drawing). Beautiful card! Love the leaves and curls. An even more beautiful Explostion box! That is out of this world. So pretty. Fall is my favorite season. I love the changing of the leaves, the cool crisp air and sunshine. It's just the perfect time of year! 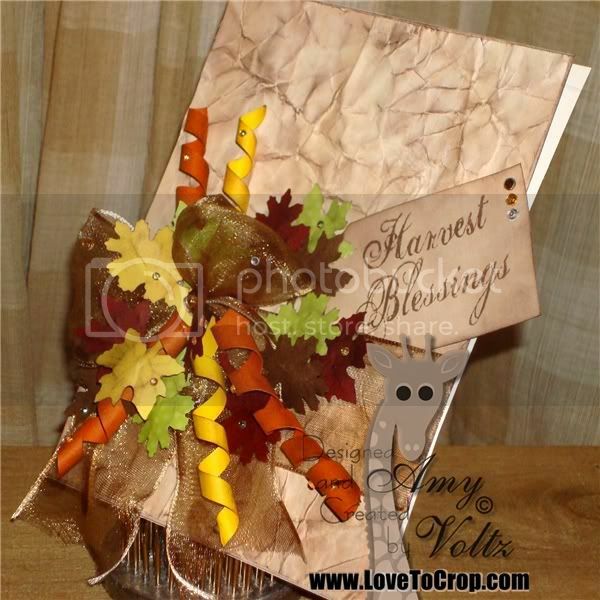 TFS your creations!--Pat N.
Your card is gorgeous! What are the tiny dots on your curled ribbon? are they just like gem stones or are they teeny tiny brads? beautiful project. tfs. i love the changing of the leaves and the cool crisp weather of fall. i'm a follower. Fabulous projects as always! I love the colors and the paper rolls! I love your projects. So elegant and creative. I love the colors too. Wow Amy!! You rock with all your creative talent!! You are always Inspiring me with your projects!! TFS!! what a lovely card! i love the crumpled look! My fav thing about fall is creating decor and then decorating the house. Gorgeous! Gorgeous! I love your explosion boxes. The colors on this are awesome. I like the cooler weather in Fall and wearing sweaters. Love the smells of fall! Love your card and explosion box. I am a follower. Oh WOWZERS , what a fabulous project. I love the box! 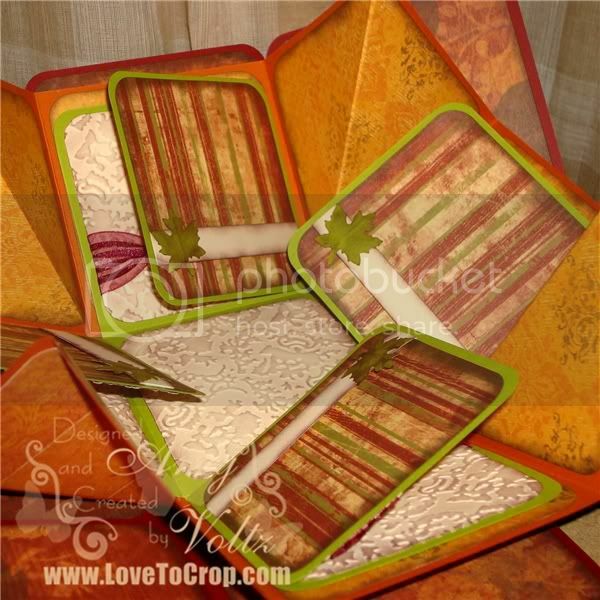 and the swirly papers oh my ive gotta ;earn how to do this .. Love your projects hon as always!